Carr Hall Garden, known as The Carrden by the Allegheny College campus, originated as an idea in a Junior Seminar class in the Environmental Science Department. It is unique to most of the vegetable gardens in Meadville because it serves as both a production garden and an educational garden. 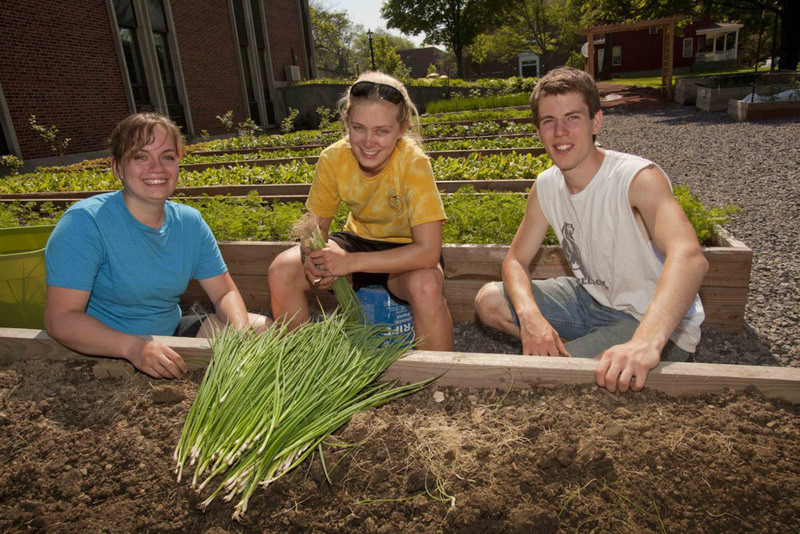 Produce from the garden goes to Allegheny College’s dining hall during the school year, and supplements the French Creek Food Hub in the summer. The Carr Hall Garden is a popular place for educational tours-- for college students and Meadville residents alike. Students have the additional opportunity to learn more through hands on experiences and real world applications in a small-scale agriculture class offered by Kerstin Martin, the Garden manager. When Martin came in January 2013, the beds were just being built. That first spring she seeded and transplanted everything before hiring student workers for the summer. Madeleine Zimmermann, “Carr Hall Garden,” NW PA Heritage, accessed April 26, 2019, http://nwpaheritage.org/items/show/58.